We set two records today; one for the longest distance traveled in one day 420 miles, (9.25 hours) and the second for having to fill up twice with diesel in one day. Traffic through Montreal was very heavy and as always the roads were under construction in the city. 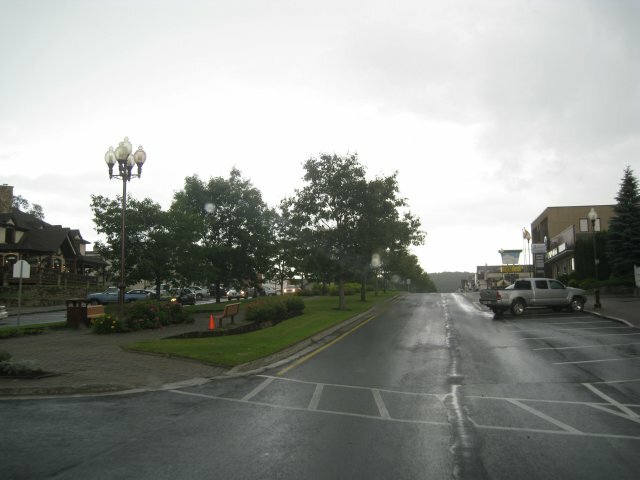 There wasn't a picture worth putting on the blog from today so I'll show a photo of the main street in Grand Falls, NB. I suppose I could set a third record for the shortest blog entry yet this trip.